Sarin Tgamol is a textile designer who has developed her own signature style by incorporating craftsmanship into each design product. She also puts great value and importance on new discoveries during the experimental working process which is one of her passions. Sarin’s creative process can be called an intriguing fusion of craftwork and conceptual design. 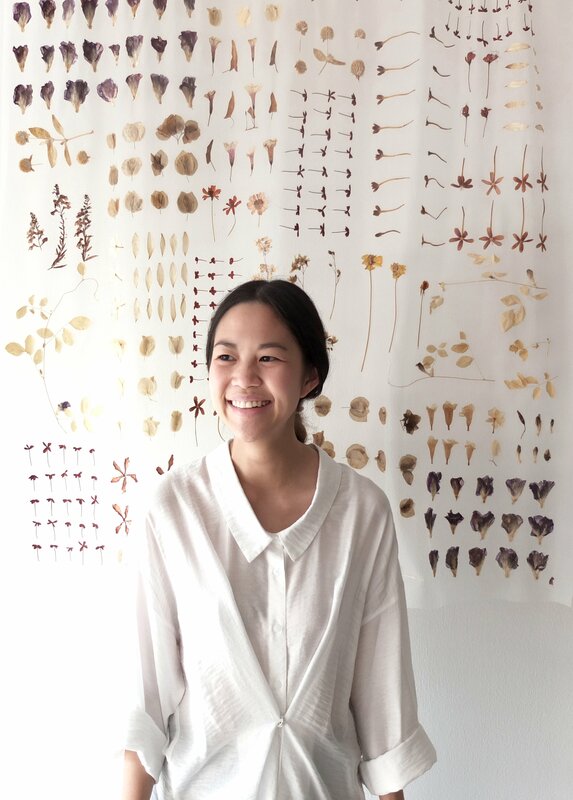 After graduated MFA textile in expanded field from Sweden in 2013, she returned to Thailand and founded textile studio ‘Sarin Tgamol Textile Design’. 2011-2013	MFA, Textile in the expanded field, Konstfack University College of Arts, Crafts and Design : Stockholm, Sweden. 2011	Textile printing and design, Summer course, Capellagården : Vickleby, Sweden. 2003-2008	BA, Landscape Architecture, Chulalongkorn University : Bangkok, Thailand. 2008-2010	Landscape architect, Duangrit Bunnag Architect Limited (DBALP) : Bangkok, Thailand. 2009-2010	Freelance exhibition designer for PX system Co., Ltd. : Bangkok, Thailand. 2010	Nobel Night Cap 2010 in the collaboration with Fernanda Torre : Stockholm, Sweden. 2011 Capellagården summer course exhibition : Vickleby, Sweden. 2012	Simple imperfection, Stockholm furniture fair 2012 (Green house) : Stockholm, Sweden. 2013	Nothing ever stays the same − It passed unnoticed, Konstfack degree exhibition 2013 : Stockholm, Sweden. 2013-present	Simple imperfection, Art Bridge gallery : Chiang-rai, Thailand. 2011	World Wide Weaving workshop – weaving with texts, sounds and materials : Dale, Norway. 2011	One of the contributors in Draw Don’t Drown projects to aid Thailand against flood crisis : Stockholm, Sweden.